We offer an array of high-quality training services in Peterborough, Ontario. 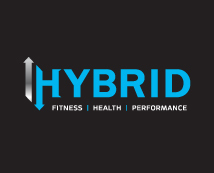 We help meet the fitness, health and performance needs and goals of every individual that walks through our doors. Browse our selection of offerings to learn how we can help you live and feel better. 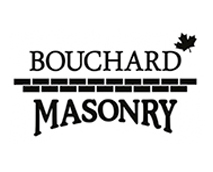 Bouchard Masonry provides residential, commercial and industrial masonry/bricklaying services to customers in Peterborough and the surrounding areas. Becoming a bricklaying/masonry expert takes years of apprenticing and educational training, and our team has put in the time to earn our expert reputation. Whether you need a brick wall repaired or a new chimney built, we have the skills and experience necessary to get the job done right. 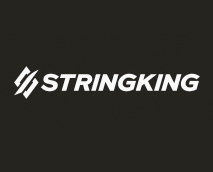 StringKing is the only company that manufactures and sells a non-nylon mesh. Because the mesh isn’t made of nylon, they do not need to weatherproof it with a hard, rubber or wax coating. As a result, their mesh breaks in immediately, strings up more consistently, performs at a higher level and stays at that level throughout its’ lifetime. See for yourself why champions are choosing consistency. The Best Trust StringKing. William Young Drywall provides their customers with exceptional and timely drywall service. The company uses the highest-quality products available in order to ensure costumer satisfaction. William Young Drywall provides its services from start to finish for any commercial or residential renovation project. Clients select William Young Drywall because the firm is extremely detail-orientated and they can rest assured that every detail of their project will be well-planned and executed from start to finish. 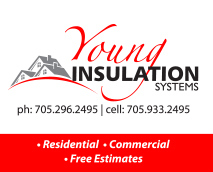 William Young Drywall is located in Peterborough, Ontario. You can find out more about William Young Drywall on their Facebook Page. William Young Drywall has been a major sponsor of Nationwide Lacrosse since 2016. Sarah was Born and raised in Peterborough, and is pleased to call Peterborough home. Licensed since 2006, she boasts an education in marketing/public relations and is known for her fierce negotiating skills. She’s a proud supporter of the Peterborough Lakers and Peterborough Petes, as Evans is a name synonymous with the Peterborough sports community. She employs a full time licenced assistant, Jody Collins B.B.A., allowing Sarah to focus on what really matters, her clients. Together, Jody and Sarah combine experience, education and technology to continually exceed expectations. Sarah has been a major sponsor of Nationwide Lacrosse since 2014.